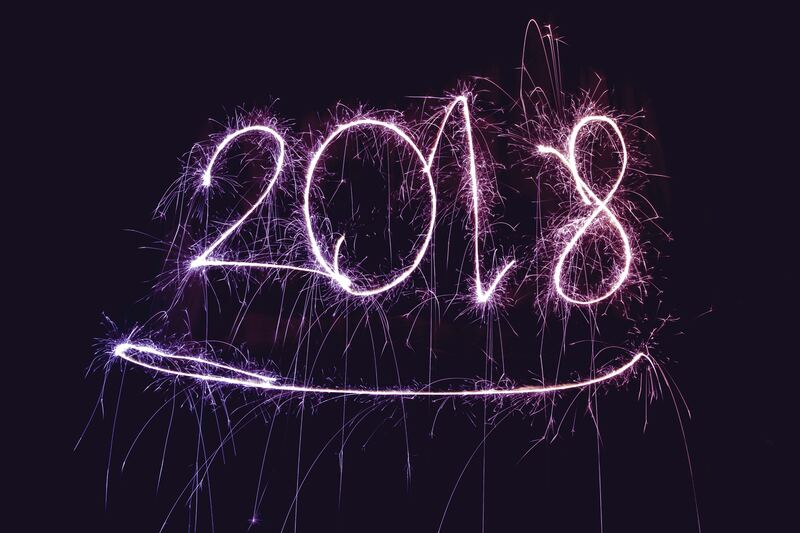 2018 has arrived on the back of another banner year for mobile gaming: Newzoo recently revised its 2017 overall smartphone gaming revenue estimate to $39.1BN, up from its $35.3BN estimate from earlier last year; King saw a resurgence under the stewardship of Activision Blizzard; Zynga and Glu have both seemingly engineered successful turnarounds; and a number of mobile-centric yet fundamentally new gaming channels reached some level of commercial traction. But this year’s prediction post was harder for me to write than those of years past because it’s hard to imagine any substantive development or outcome in 2018 not being an obvious extension of market conditions in 2017. While the mobile gaming ecosystem is large (and growing ever-larger, despite facile claims to the contrary), it has matured to a point that makes it fairly predictable: not necessarily because new things aren’t possible, but because, as a result of just how insurmountable the barriers to entry in mobile gaming have become, innovation is far more likely to be successfully executed at the hands of the largest incumbents. Which is to say: measured, cautious, incremental change is what we get, and thus everything old is new again. This isn’t to say that the industry won’t develop in interesting ways over 2018; certainly it did in 2017. For one, Rovio, NetMarble, and Next Games all launched successful IPOs in 2017, which may have re-opened the door to mobile gaming companies going public (while Rovio’s IPO was successful, its life as a public company has been fraught). Additionally, Facebook’s instant gaming platform has probably fared better than what most expected, evolving to allow developers to monetize their audiences there (some of which are quite substantial) via in-app purchases and advertising. And on the content front, Apple released the ARKit development platform, allowing developers to bring elements of augmented reality into their apps, and the publishers of highly-viral apps such as Cheetah Mobile, Miniclip, Gram Games, and Voodoo Games dominated the Top Downloaded charts in a way that seems more sustainable than what was seen in the first wave of this form of game with Ketchapp. The Top Grossing chart thawed in 2017: non-gaming apps have become more adept at monetizing users (especially via subscription purchases); many of the “Perennials” (the 2012-2013 vintage of mobile games that traded positions in the 1-5 range on the Top Grossing chart for years) have struggled to remain in the Top 10; and relatively young entrants such as Golf Clash, Toon Blast, and Homescapes have made their homes in the Top 25 with considerable upward momentum at their backs. I think 2018 will see a fundamental reshuffle of the 1-25 range of the Top Grossing chart, with one Perennial effectively dropping out of the Top 10 and one new entrant — possibly even a game launched in 2018 — entering it for the long term. I also believe that the 25-50 range of the Top Grossing will become more volatile, as both games and non-gaming apps experience stronger one-day monetization surges through subscription renewals and improved live-opps / promotion management. The mobile gaming space saw a fair amount of consolidation and M&A in 2017. Among the most noteworthy acquisitions were Zynga’s acquisitions Harpan and Peak Games’ casual card game studio; Aristocrat’s acquisitions of Plarium and Big Fish; Double U’s acquisition of Double Down; Take Two’s acquisition of Spanish developer SocialPoint; Nexon’s acquisition of Pixelberry, the developer of High School Story; and the acquisition of Outfit7 by a Chinese chemical company. I believe 2018 will see an acceleration of acquisitions in the $10-50MM range for companies with legacy “hit” mobile games in decline in what will roughly be audience acquisition plays. I believe the number of acquisitions in the $50-250MM range (as many of the above were) will remain relatively stable from 2017 to 2018 for companies with a singular presence in the Top 100-200 Grossing range but unconvincing growth trajectories. And I also think 2018 will see at least a few eSports acquisitions in this valuation range from companies that want to gain exposure to that growing market. 2018 seems poised to produce at least one mega acquisition in the $500MM – 1BN range. The obvious candidates here are MZ, which has seen its games fall significantly in the Top Grossing chart in what looks like a pullback on marketing ahead of a sale, and Playrix, which could probably come close to a billion dollar valuation if Homescapes and / or Gardenscapes continue to climb the Top Grossing charts. Other candidates are Roblox, Product Madness, and Peak Games. A number of things happened in 2017 that diminished the relevance of the “app intelligence” industry — that is, the group of companies that sell estimates of revenue, install numbers, and other engagement metrics for mobile apps. One is the growth of advertising revenues for games: advertising revenues are almost impossible for any intelligence company to estimate for a given app with any serviceable accuracy. Another is the rise of subscription pricing mechanics, which skewed the top end of the revenue spectrum (for which none of the app intelligence companies has any proprietary data) to a degree that makes many of the estimates for the Top 20 grossing range provided by these companies almost farcically unreliable. These two forces will grow stronger in 2018, meaning the estimation power of many app intelligence companies will grow weaker. But even beyond that, the use case for this intelligence has never really been alluring beyond pure curiosity, especially for developers but even for investors, and the fact that many Top Grossing apps (Tinder, Candy Crush Saga, Pandora, Madden NFL Football, etc.) are now published by public companies makes triangulating revenue data to an extent that is actionable fairly trivial.